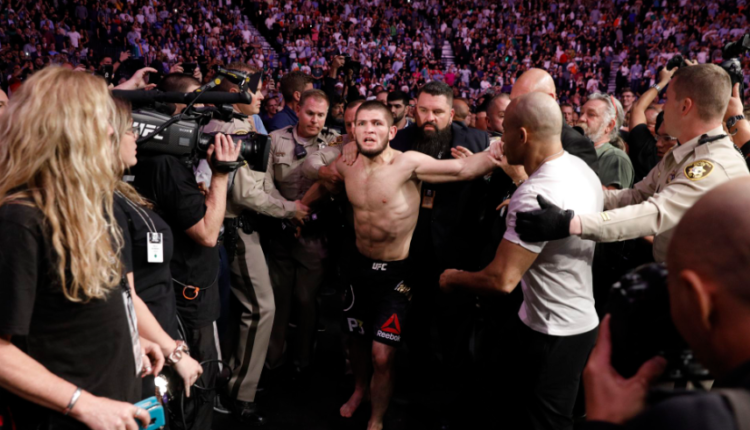 Khabib Nurmagomedov and Conor McGregor will soon come face-to-face with the Nevada State Athletic Commission (NSAC) for their actions in the aftermath of UFC 229. The NSAC filed formal complaints against both men, and some of their teammates, on Dec. 1. Nurmagomedov, following his submission win over McGregor, jumped over the Octagon and attacked Dillon Danis, who was in McGregor’s corner, setting off the melee. McGregor, meanwhile, fought with Nurmagomedov’s cornermen against the cage. During a TUF 28 post-fight media scrum, UFC President Dana White was asked about the worst-case scenario for Nurmagomedov, the UFC’s lightweight champion. White knows that Nurmagomedov will face a suspension, but he feels if it were longer than a one-year ban, it would be out of line. Despite the Dec. 10 hearing, White is more focused on the future of the 155-pound division inside the Octagon, professing hopes of booking a Nurmagomedov title defense against Tony Ferguson and a second encounter between McGregor and Dustin Poirier.